Phantom of the Opera. This picture makes me happy (:. Wallpaper and background images in the The Phantom Of The Opera club tagged: the phantom of the opera erik. 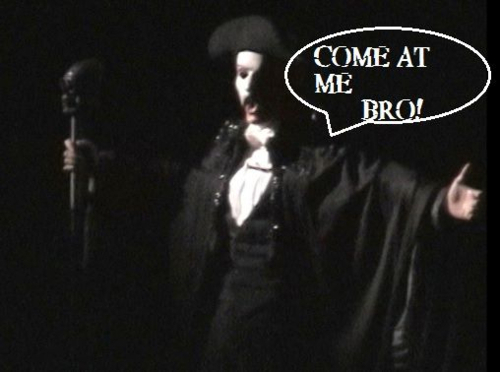 This The Phantom Of The Opera photo contains concert. There might also be guitarist, guitar player, and business suit.